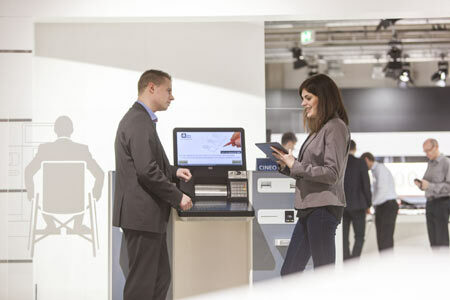 At Wincor World 2014, Wincor Nixdorf will show how banks can enhance the customer experience with new service concepts. Concrete examples show how the range of self-service options can be expanded strongly when staff use video or tablet computers to help clients with certain transactions. And to make self-service systems even more intuitive to use, in the future bank customers will be able to design individualized user interfaces – such as those using the touch and swipe gestures they are familiar with from their tablet computers and smart phones. In the future, bank clients will be able to tailor the user interface at the automated teller machine to their specific preferences: new multivendor-capable software from Wincor Nixdorf enables users to change the size and arrangement of the controls on the ATM’s touch display. Customers who often deposit checks, for instance, can use touch and swipe to set up the menu for this function on their personal start screens, allowing them to move directly to this preferred transaction. Banks also benefit from this software tool: they can easily rearrange their standard user interfaces and distribute the new designs to the systems on their network. Wincor Nixdorf supports banks around the world in enhancing their self-service concepts and offering a variety of new functions beyond cash withdrawals and deposits. 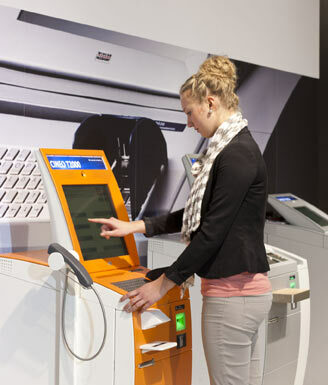 The keys to this are smart software and the integration of bank staff, for example via video, as shown by Wincor Nixdorf in one of the exhibits at Wincor World 2014. The customer requests assistance simply by pressing a button on the device. Then, for example, a bank employee can run an explanatory video or provide additional guidance when a customer uses a function – such as check deposit – for the first time. A client who wants to withdraw cash from a branch ATM in an amount that exceeds his or her personal daily limit can also request support at the touch of a button. A branch employee is notified immediately via a new tablet app from Wincor Nixdorf. After checking the customer’s data, the employee can authorize the transaction and release the withdrawal. “Concepts like these offer clients a greatly improved service experience. 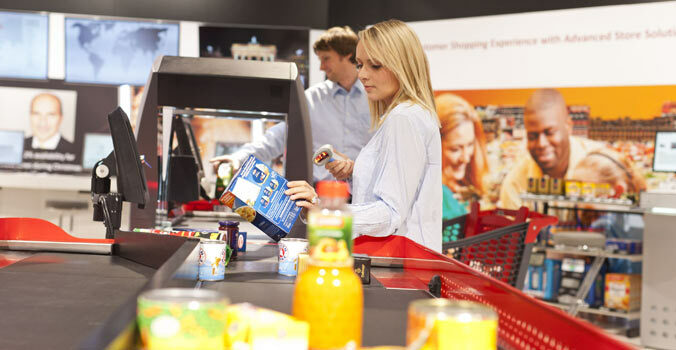 It’s convenient and useful for them to have so many extra self-service functions available quickly and easily. At the same time, these solutions make sure the bank doesn’t lose personal contact with customers, since the staff can assist clients more flexibly and proactively than is possible in classic front-office concepts,” says Anja Lindner, Head of Industry Marketing for Banking at Wincor Nixdorf. Banks that want to offer their customers the new self-service solutions, but without having to build up the expertise on installing and operating the software solutions within their own IT organizations, can outsource the entire operations management of the software to Wincor Nixdorf. The IT company will then ensure the distribution of software updates, rectify disruptions to software operation via remote access, and deal with queries from the bank staff via a central service desk, thus guaranteeing the availability of the software for the customer at all times.